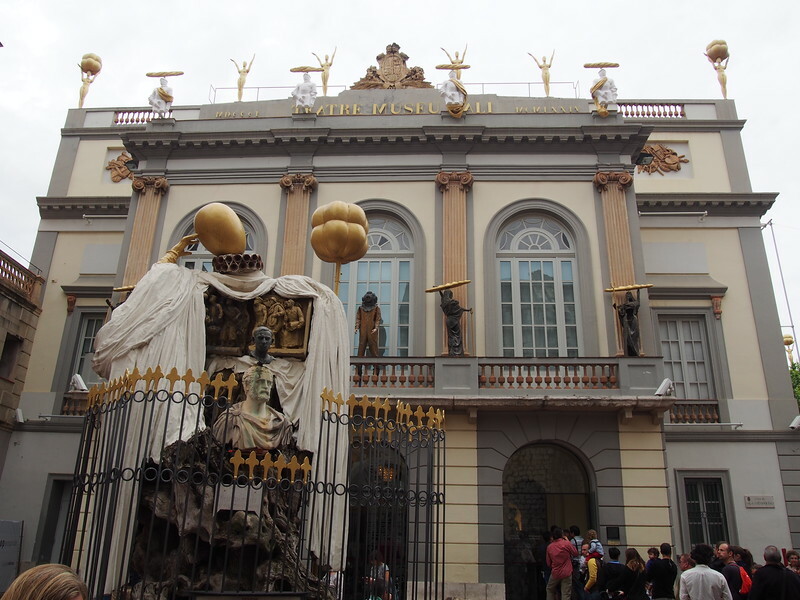 We visited the town of Figueres, Spain to check out the Salvador Dali Museum. 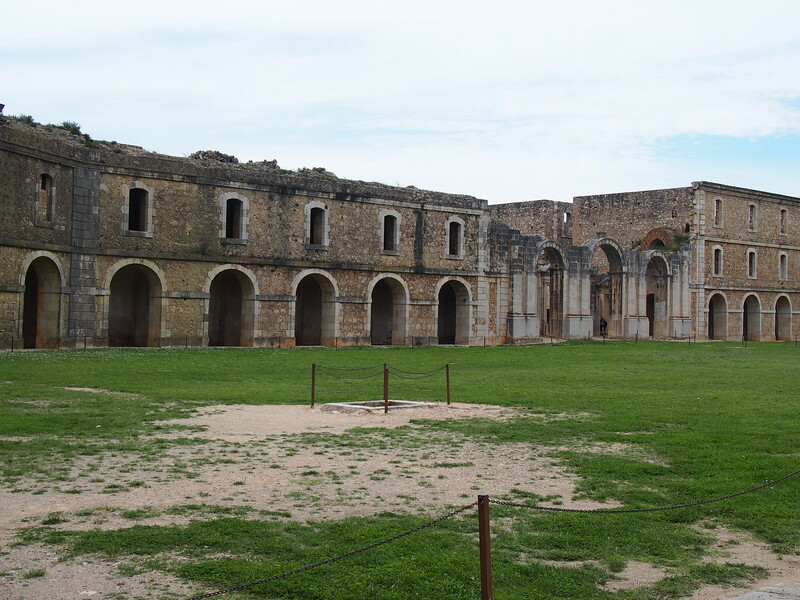 Figueres can be visited as a day trip from Barcelona. 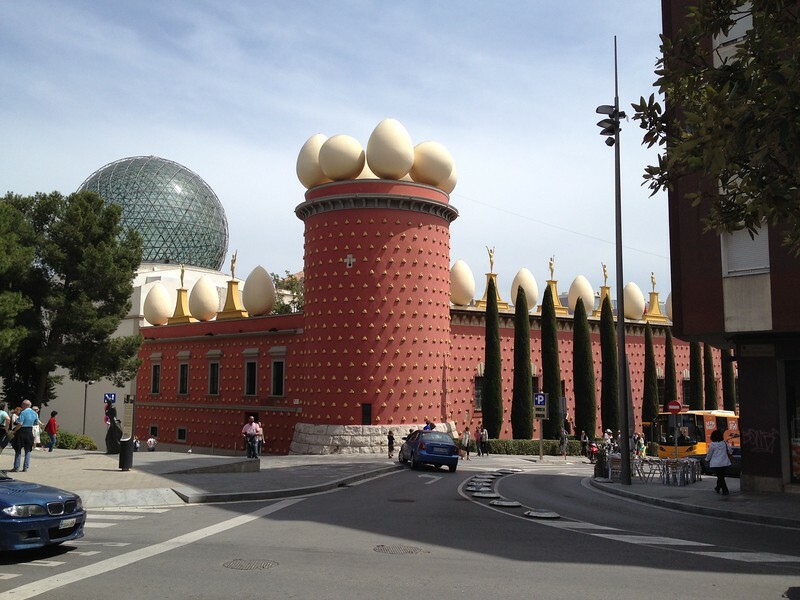 Viator offers several tours to the Dali Museum and other locations, starting from Barcelona. You can reach Figueres by bus or train. A bus from Barcelona takes 2.5 hours and the train takes 1 hour. Salvador Dali was born on May 11, 1904, in the town of Figueres, Spain. The house where he was born and lived until 1912 is located on Monturiol Street. There is only a small plaque to mark the location. 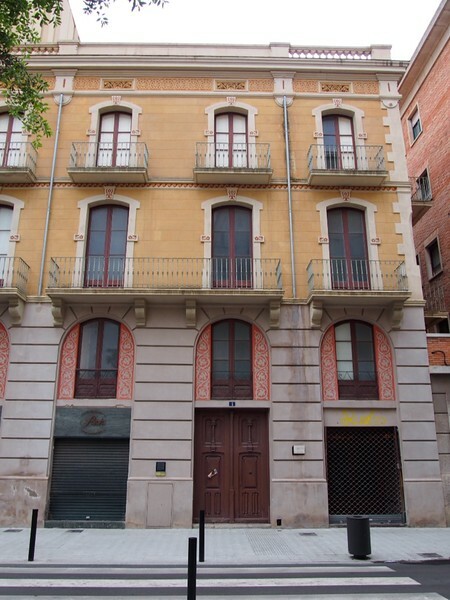 The house stands empty, the Figueres City Council having bought the property in 2001. There are plans to turn it into a museum but no definite starting date. The birthplace of Salvador Dali. The museum recommends that you book tickets online to avoid a long queue. Tickets are 12 euros. You will be able to explore the museum at your own pace and spend as long as you like in any of the galleries. I recommend going early in the morning to avoid the crowds. Salvador Dali Museum adorned with giant eggs. It’s a bit of a walk uphill to reach this former military post but the views are worth it. There is even a Dali connection here, as he completed his military service here in the 1920s. Bring your passport if you want an audio tour. I did not know this and the ticket office will not accept anything else as collateral. As a result, I did not get to learn the history behind the buildings I was looking at. Admission is 3 euros. Most of the grounds are accessible by wheelchair and I was even able to push L.N’s stroller up onto the walkway along the outer walls without too much effort. Castell Sant Ferran in Figueres, Spain. 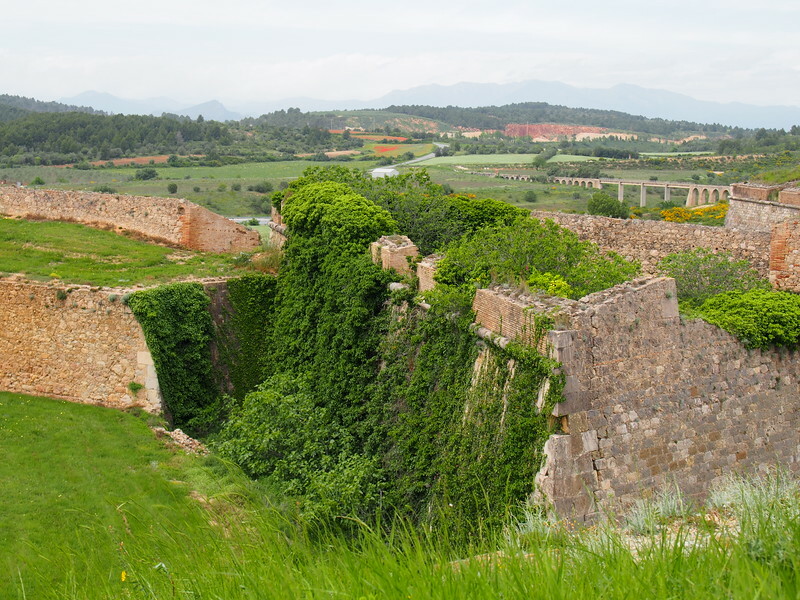 Outer walls of Sant Ferran. Museu del Joguet de Catalunya – Carrer de Sant Pere, 1. This is a toy museum although it is likely to be more interesting to adults rather than young children. The museum also houses the teddy bear owned by Salvador Dali and his sister, and a small collection of reproduced Dali family photographs. You can also view these photographs in a pdf file on the museum’s website. Disclosure: I received 3 nights of free accommodation as part of a travel blogging conference I attended. However, I got to choose the hotel and was under no obligation to write about it. Duran Hotel in Figueres, Spain. If you are coming to Figueres to see the Dali museum, Duran Hotel is the obvious choice for a place to stay. After all, Dali himself stayed there on multiple occasions (room 101) and frequented their restaurant. The lobby showcases a number of Dali’s works and numerous photographs. Our terrace at Hotel Duran. I think that we got one of the best rooms, as we had a large patio all to ourselves. The room was tastefully decorated and the WIFI was adequate. 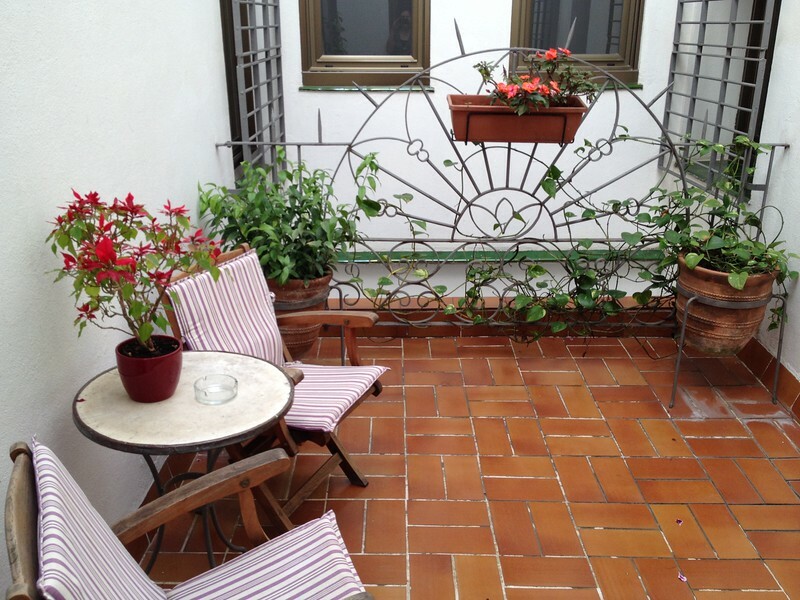 The location is perfect, just off the main square and a short walk from the Dali Museum. There is a small grocery shop just around the corner and it is open even on holidays when everything else is closed. The breakfast buffet was continental style with only cold dishes: a variety of breads, ham, cheese, yogurts, cereal, and fruit. Coffee was from a Nespresso pod machine.